Usually, in common practice, a bulk of the iOS users tend to back up or store IPA files for later use on their iPhone/iPad. Also, a majority of the IPA files tend to be decrypted. 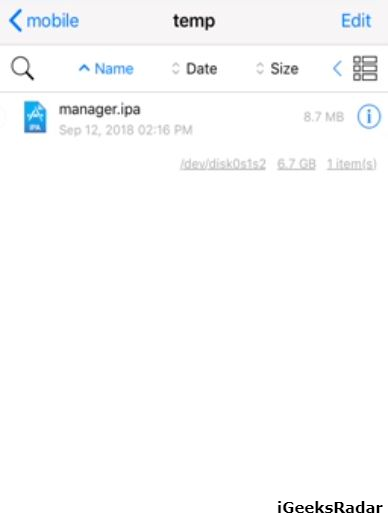 Upon initiating the installation process for such IPA files, utilizing App Sync on Electra, it may happen that application gets crashed due to certain entitlements being missing. In such cases, these dumped IPA files go sheer waste and the iOS user has got no other alternative, other than deleting such crashed IPA files. Realizing this issue, Reddit developer, level3tjg, prepared a script to fix the problem and the same has been named as IPAPatcher for Electra. Please note that this script is compatible with jailbroken iOS 11 iPhone/iPad. IPAPatcher for Electra, helps to resolve the issue by signing the binary with the platform-application entitlement, as an upshot of which, iOS users can install the backed up/ decrypted IPA files using App Sync. The act of signing the binary fixes the issue of the application getting crashed post installation. Please note that this will work on IPA files which are dumped with bfdecrypt. The steps to get IPAPatcher up and working on your iOS device are pretty simple as you just need to search and install the application from its Cydia repo. Next, simply search IPAPatcher from the same and install it on your iOS device whether it is an iPhone or iPad. Similar to the installation procedure, using this script is simple. As a first, simply copy the path where you have the IPA file stored to your clip board. Type ‘ipapatcher’ next to this path and paste the location of the IPA file along with. 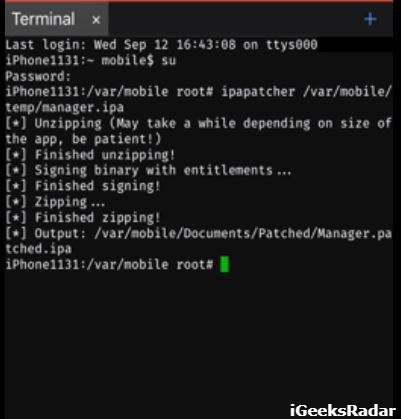 /var/mobile/root# ipapatcher /var/mobile/temp/manager.ipa. Hit Enter to execute the command. This will initiate the process and post completion of the same you can go ahead with the normal installation procedure for the IPA file and it won’t crash after installation now. So, that was all regarding the new jailbreak tweak IPAPatcher. Please go ahead and get your doubts cleared by putting the same down in the comments section below.